Save on your next holidays thanks to our JA Resorts hotels coupons and vouchers. 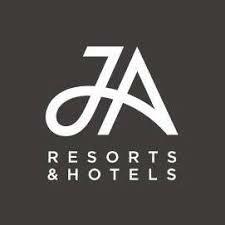 JA Hotels and Resorts is one of the most prestigious hospitality companies of the world which was established in 1981.This group owns and manages 7 luxurious properties. The Resorts and Hotels have been rewarded with various awards such as World Travel Awards, Travel Agent Choice Awards, Trip Advisor Travellers’ Choice Awards and many more. Where the real essence of a warm welcome is captured in breathtaking locations worldwide. Whether it’s a family holiday, a romantic getaway or a business trip, our luxury hotels and resorts extend unforgettable experiences every time. From the first hello to the last goodbye, you can relax and rediscover the real you knowing every need is being taken care of.